On Valentine’s Day every year, the whole world is buzzing with couples showing their affection for each other. Be it through gifts, surprises, or a date or whatever way to show romance. When we think of Valentine’s, this is often the first thing that comes into our mind. But one father from the Philippines celebrated this day in a unique way when he surprised his daughters, ages 16, 14 and 12, at school. The 46-year-old dad, Chi Martillo shared this heartwarming moment with his princesses on Facebook. “I love you so much, guys!! I hope I made your day,” he captioned the post. He personally went to their school and gave each one of them personalized letters and their own box of stunning Ecuadorian roses. In the letter, he told them what he admires most about them and how proud he is to be their dad. Immediately, Chi’s sweet gesture towards his children went viral. 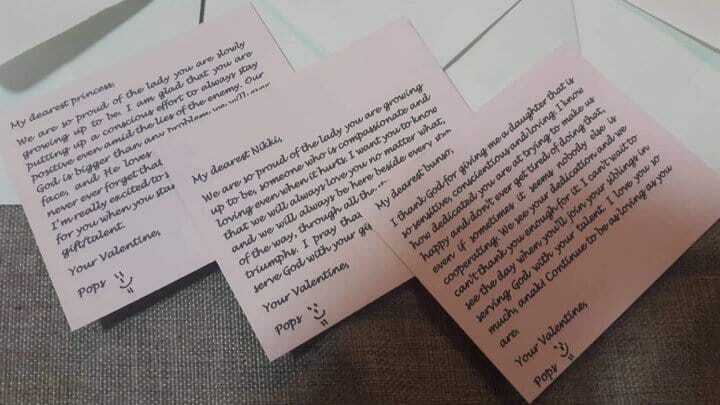 The pictures he posted showed the delighted faces of his daughters touched and teary-eyed by his thoughtful gesture. Both Chi and his wife Au Pangan-Martillo know a thing or two about a lasting relationship since they are college sweethearts who have been together for over two decades. 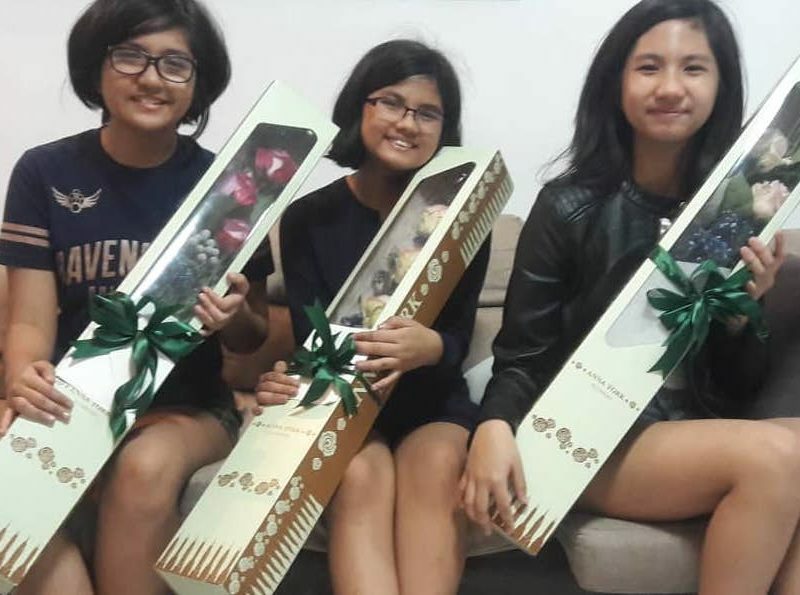 For Chi, Valentines Day was a chance to show his daughters that there is more to love than just romance. He showed to his girls the love of our Heavenly Father. It is only through His love that we can be fully satisfied – more than anything this world could offer.